Coinswitch.co Review – Is Coinswitch a scam? 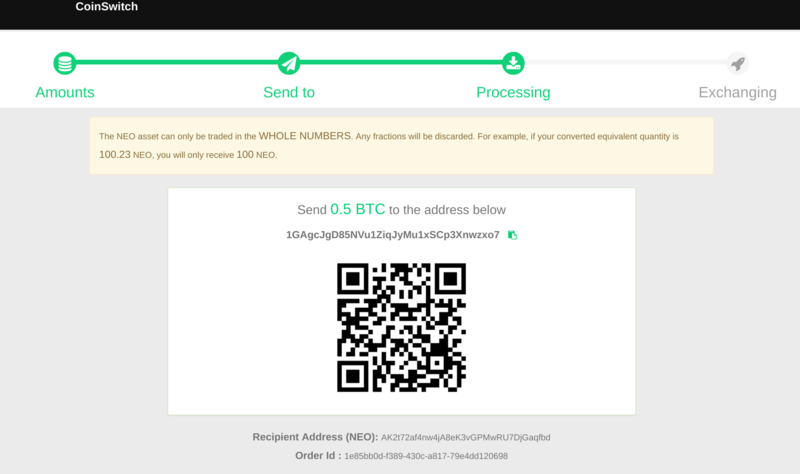 We wanted to buy some NEO and decided to give Coinswitch.co a try. Here is why, in our opinion, we believe Coinswitch is a scam. On Monday 9/4/17 China announce their ICO (initial coin offering) ban. That sent prices of NEO plummeting and we wanted to buy while prices were low. We went to Coinswitch and set up a trade. Coinswitch stated they would send 103 NEO (approximately $2110USD) for 0.4999BTC (approximately $2180USD at the time). Coinswitch claims not to charge fees but the exchange rate says otherwise. At 10:25 Eastern Time 0.4999 BTC is sent from my wallet to Coinswitch with a priority fee for a total of 0.5012 btc. Coinswitch claims they waited until 10:35 to start my exchange. This was after we paid a higher priority transaction fee to catch the price drop. They claim they didn’t buy the coin until there was a price spike that benefited them (giving us less NEO than Coinswitch had promised). Here is an image Coinswitch’s customer service sent me. Here are the rest of the steps in the exchange. They promise a specific exchange rate. No where does it state Coinswitch can/will change the promised rate after you have given them your money. We received 99 NEO. I contacted their customer service and was given the excuse that they could change the rate at any time without notice. 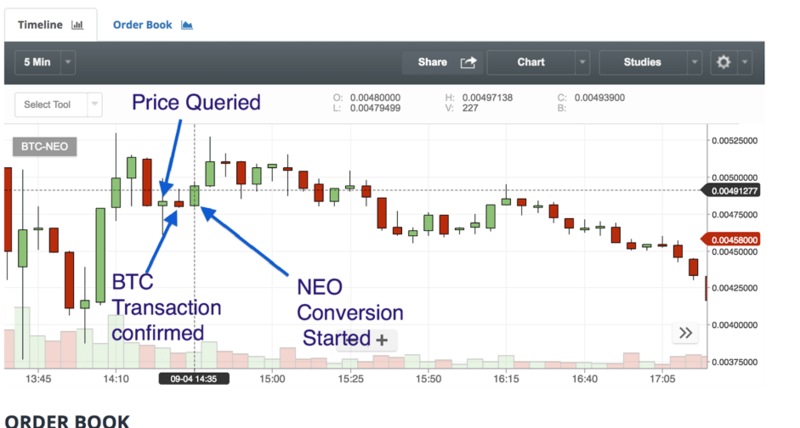 As someone commented below, Coinswitch said the price had gone up but if you check the timing of the trade and price charts, the price of NEO had dropped everywhere else. If their price fluctuated correctly, we should have received about 106-108 NEO. This understandably confused us and to be honest we were outraged. They advertised one thing, and gave me another. That is the very definition of bait and switch. After we started posting on Reddit about the scam Coinswitch.co contacted us and asked for my NEO address so they could send the 4 NEO they owed me. We informed Coinswitch we would continue to post because it is important other people don’t get scammed. 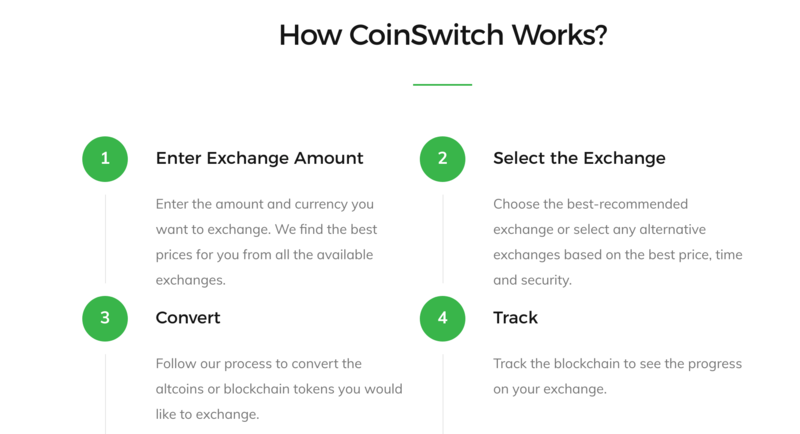 We told Coinswitch that for me to stop looking into them they had to honor the promised exchange rates they advertise or automatically refund peoples’ money if Coinswitch cannot complete the transaction without increasing the exchange rate. They also need to refund the money they owe to everyone for the bad exchanges they have done. They would not do this and we didn’t get the 4 NEO. Coinswitch.com promised 103 NEO and only gave me 99 NEO. If someone went to a used car lot and paid for a 2016 Lexus but was given a 2013 Lexus, that would be considered a scam. I gave Coinswitch a feasible option to remedy the situation (if Coinswitch cannot honor the promised rate, automatically give a customer’s money back like Changelly does) and Coinswitch refused that. Between the conversion fee and Coinswitch giving me 4 less NEO than promised I lost over $150 using Coinswitch. If Coinswitch had calculated the fluctuations correctly the drop of price in NEO means they would still owe me 7-9 more NEO. Learn from my mistake – DO NOT USE COINSWITCH. I found your link on Reddit. I read Coinswitch’s post about the price fluctuating and checked the price charts. When you sent them BTC the price of NEO had dropped $3-5 a coin. Doing rough math they should have paid you around 106-108 NEO. Have you asked them for that back? I would sue them if they tried to scam me like that. I won’t be dealing with that scum either. They bought the NEO and when the price went up they decided to send you less and keep the difference. Is CoinSwitch and Changelly the same people? I did have a lot of problem and ended up not dealing with them any more. I suspect they switch from Changelly to CoinSwitch. Changelly was very unpredictable and always gave me much less coins than stated. Scum bag! You can send us a well written post with any evidence you have and we would post it or you can post it on your own website. They spammed Reddit with advertising so you could also find their posts and reply to each one with a link to where you post your complaint. Hello Bank BTC, can you please recommend an easy and safe place to buy cryptocurrencies from that you trust? Did you receive your coins? I am waiting already almost 11 hours with now result. How long did your transaction take? 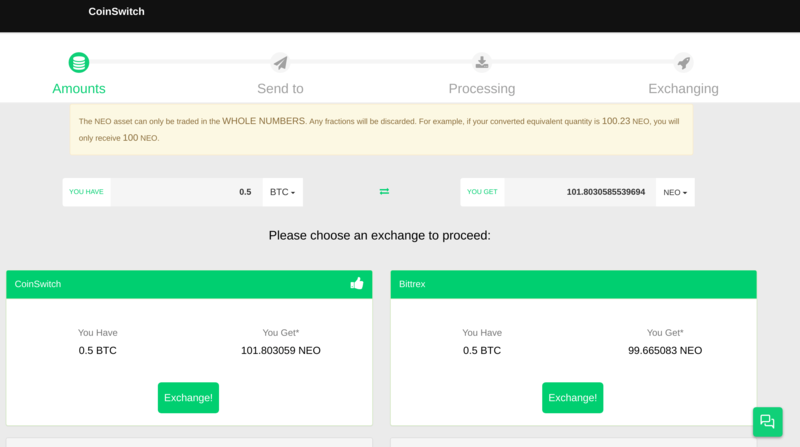 I’ve been waiting for a couple of hours already and it still says “Exchanging” even though the BTC transfer was confirmed more than an hour ago. No they wouldn’t give me my money back unless I agreed to take my review done. I think it is more important people know they are not trustworthy. Great info – really appreciate the work you put into writing it.